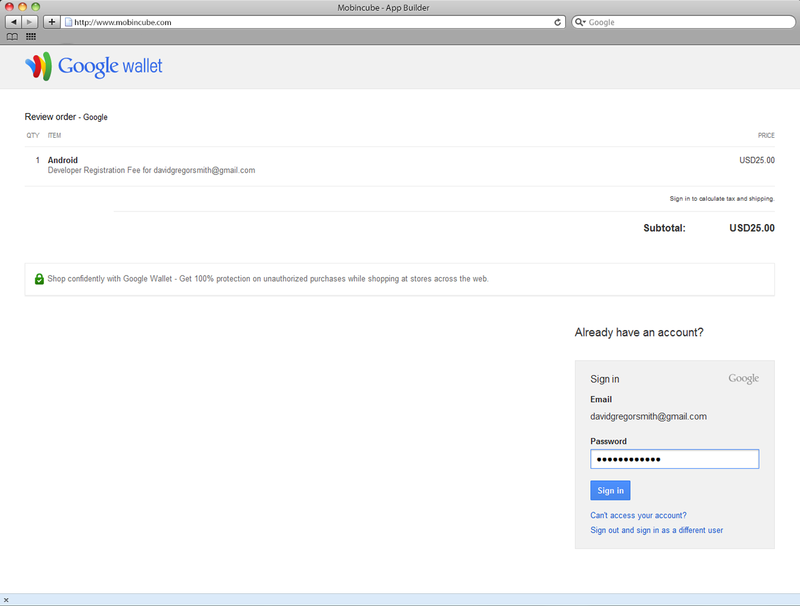 First you must have a Google account, user@gmail.com for example. 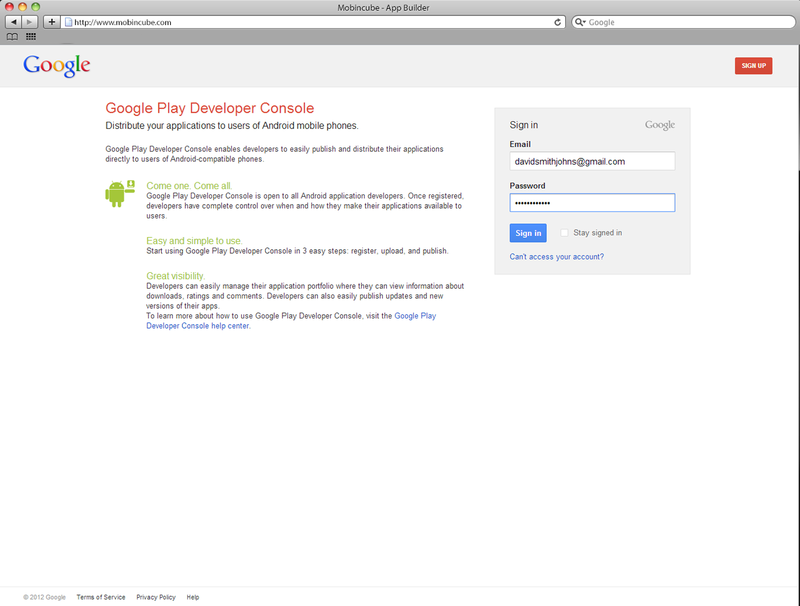 You can sign up at Google.com or go here to create a new Google Account to use it in the developer panel. If you already have an account, just sign in. Once you’re in, you have to fill the fields. 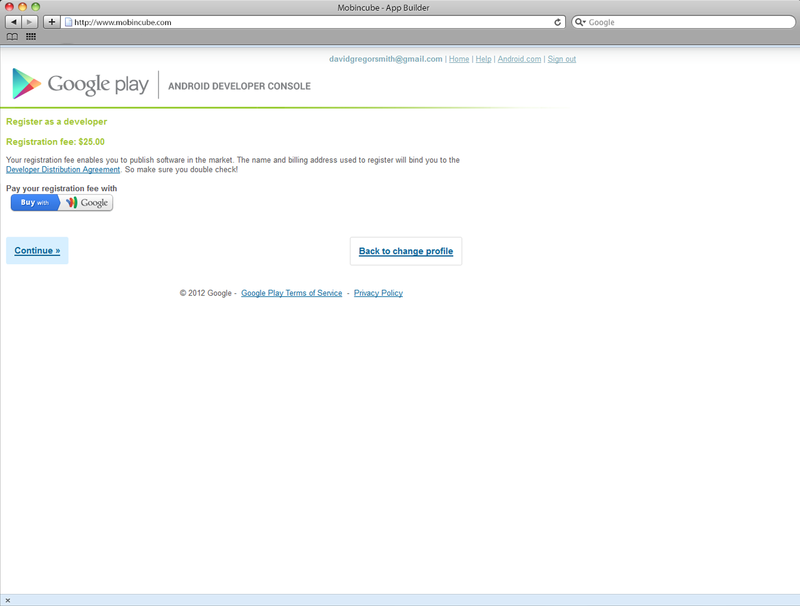 Developer Name is the name Google Play users will see when they try to download your applications. Only the Developer Name and Phone Number are required. After completing the information, click Continue. 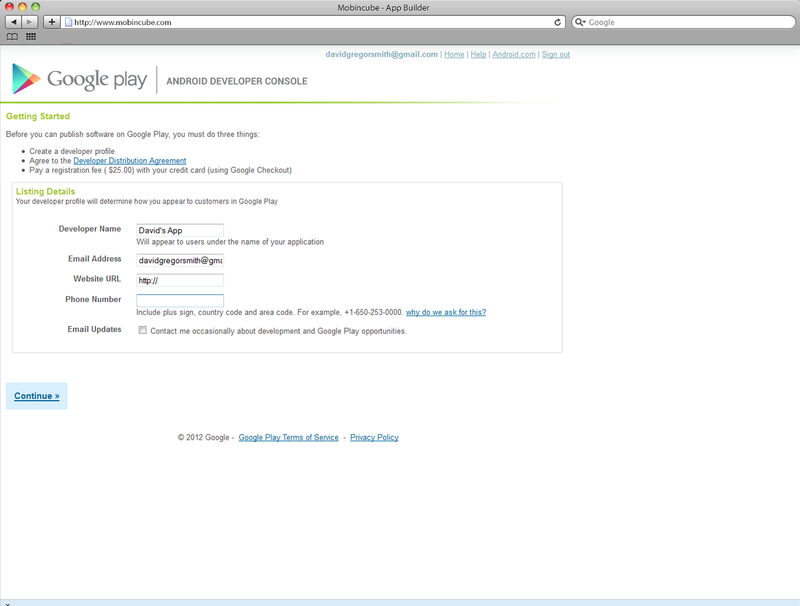 On the next screen, you must agree to the terms in order to continue the registration. Check it and click Continue. 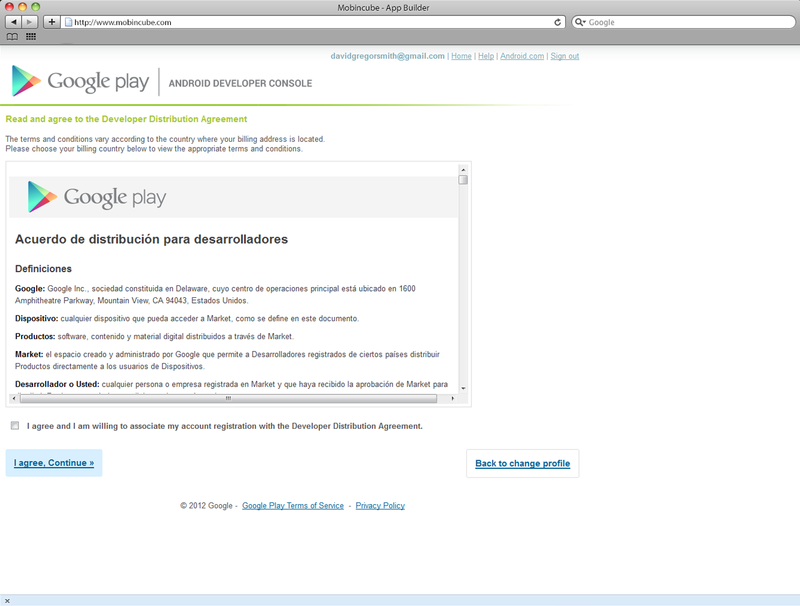 Now you need to pay Google Play's fee. Keep in mind this is a one-time fee. After clicking Continue, a screen will appear where you can choose the card type. 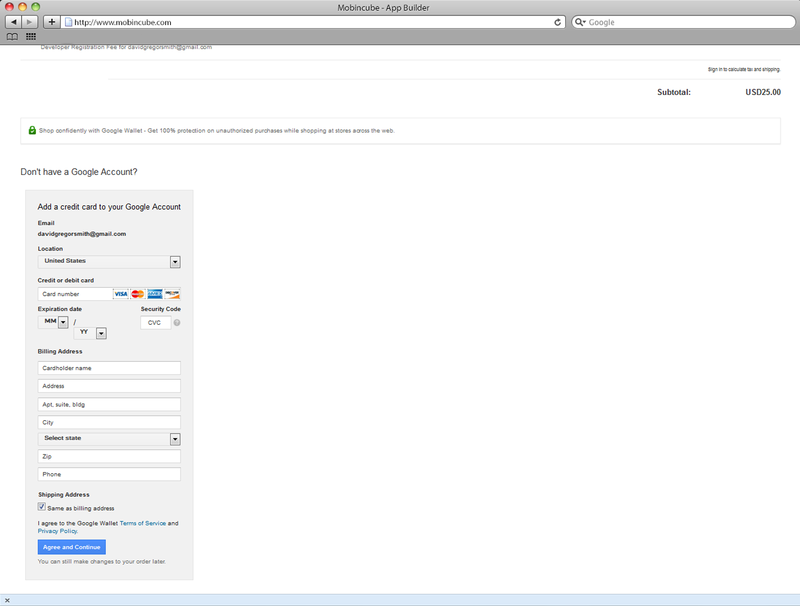 Google will ask again for your account information. Sign in again and you’ll be taken to the next screen. On this final screen, you need to complete all the banking information and agree to the terms in order to continue. You are accepting to pay the fee of $25 per year to publish as many apps as you wish during it.